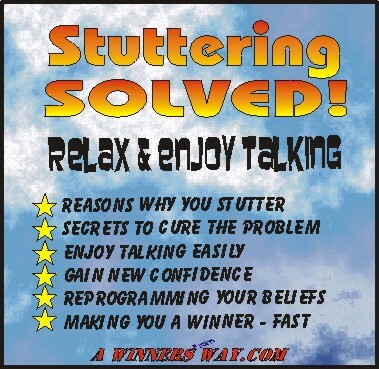 stuttering solved - Relax and speak clearly-Guaranteed! 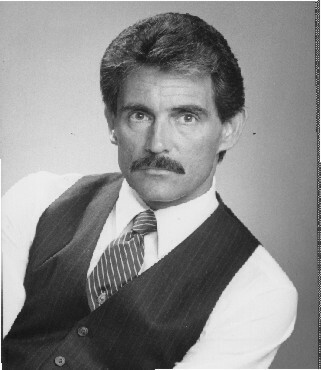 Roger W. Breternitz has been a certified registered Clinical Hypnotherapist completing over 300 hours of training and internship with 22 years of experience, and has helped hundreds of people of all ages and walks of life achieve their goals. He is now presenting seminars for companies and individual groups on creating what is a winning environment in any situation. After all when it's all said and done you have to admit..."It's all mental anyway"! If you actually exam the reasons for stuttering you will find that the biggest reason that causes it all is STRESS! Yes, stress when you were a little child, your parents either caused you to be afraid of your own speech, afraid that you would say the wrong thing, or afraid to talk at all, because you were intimidated, or scared to speak up. Then after you developed a stuttering problem, other kids, or people made fun of you and caused you more embarrassment, and again more STRESS, because you were afraid to speak in that you might stutter and people would know you had this problem. Now the stress comes from embarrassment, not wanting to look like a fool, so you try not to talk too much, or at all, and the harder you try NOT to stutter the worse it gets. In adult life just about everything we do has a level of stress in it, right down to recreation, or fun as some people call it. Business is very stressful, and because our very lively hood is dependent on us being successful in business it's even more stressful because we want to be a winner in the "Sales contest", or whatever will bring us the most money, security, status, and the list goes on. So...when we feel stress we tend to tighten up and that's one of the first causes of stuttering. The tighter you are, the more you stiffen and the more difficult it is to talk without stuttering. You just need to relax and breath deeply, and some of the stress melts away. This is the pressure of our day to day activities, such as job, kids, spouses, events, and a few other things that can make our life other than "Happy", but not kill us. Stress happens when we get pushed out of our zone of comfort, have too many things to accomplish, or too many "Packages" to carry, what ever those packages are, and in whatever format they may come. Baseline stress is when the "Stuff" of your immediate situation starts to creep up on you and you get behind in your schedule, or your "Accomplishment list, and now you are "Speeding	up" to keep up. Trouble is when you speed up, most of the time you "Mess up", and now you are more behind than before, which causes you to speed up again, to just get back to square one...which isn't where it used to be when you get back to it. Sound familiar? So what do you do? How do you stay out of the "Death spiral" on a flaming skateboard going downhill into a lake of gasoline? You restructure your belief system to prevent you from getting into that situation to begin with. That's what this CD does for you, it changes your belief system to keep you from getting on that "Skateboard to Hell" in the first place. It also equips you to handle the pressure situations that come up that you cannot plan for, and do it in a way that still keeps you on an even keel. And...when you are relaxed the chances of stuttering are much less. You have one time or another been around people who should be crowned "Drama queen/king of the Year", do you remember those people? Maybe you've been told you're one of them! There is an old Chinese saying, "There is no right or wrong, only your perception of it". Much of the stress people endure is self-caused by just the way they live their lives, or the seriousness of their personalities. They view each encounter as a challenge to making someone like them, or making sure not to rub someone the wrong way, and they spend way too much time looking in the mirror before they leave the house. Everything is a crisis and they view an absence of problems as a problem in itself! If this sounds like you, this is SELF-INDUCED STRESS that YOU are creating, and it makes your stuttering worse. Remove the problem, remove the stuttering...to a large degree. This is problem with your facial muscles, or your tongue, and this is a physiological problem that a speech therapist can help you with. Here at A WINNERS WAY we deal with mental belief systems, and we change those belief systems to eliminate negative habits, and establish positive habits. If you have no physiological problems then this CD is guaranteed to help you in a big way. But...it STILL carries the same money back guarantee not matter what your problem. Once again, when you were young, someone may have told you that you were stupid, just a dumb kid, and you believed them, because you had nothing else to challenge their statement with. This lack of self-confidence caused you to constantly be in doubt of what you were saying. Were you saying it right, did you look or sound stupid, the stress level went up and you started to repeat yourself, then faster, and it became stuttering. Now you do sound stupid, and more kids, and later more people made fun of you and you have more stress, and the stuttering is permanently ingrained in your behavior. It's time to break this chain of behavior, and belief system, and get your confidence back. You CAN talk like everyone else, you ARE just as smart, and you don't have to take their abuse any more! It also implants commands in your subconscious mind to cause you to relax when you feel pressured, thus allowing you to think more efficiently, clearly, and you begin to speak with new power and conviction. People can sense your positive attitude and want to be around you.